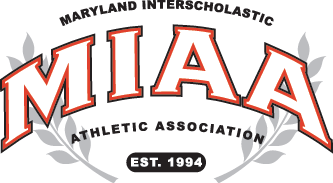 The McDonogh wrestling team finished off the first day of competition at their 46th Annual Ray Oliver Tournament trailing Smyrna (DE) by 12 points, 98.5-86.5. While the Eagles were able to bring home more individual titles than Smyrna (five compared to four for the Delaware power), they could not surpass them to win the team title, finishing second by 14 points, 224.5-210.5.
Cooper Flynn (113) and Garrett Kappes (220) are both the top-ranked wrestlers for in the state, for McDonogh, at their respective weight classes, and both brought home their second Ray Oliver titles. Flynn posted a 5-3 victory over two-time National Prep placer Luke Kowalski (St. John’s College). Kappes squared off with the state’s No. 4 grappler, Georgetown Prep’s Kyonte Hamilton. Kappes walked away with a hard fought 4-2 decision. Both were private school state runner-ups a year ago, Kappes at 170 and Hamilton at 195. Winning their third Ray Oliver championships were Ray Kable (138) and Jack Wimmer (195). Kable defeated Smyrna’s Nic Natarcola in his finals match, 3-2. Wimmer downed Sussex Central’s Michael Wright, 7-3. Sean Scott won the 145lb gold by edging Hayfield’s William Baldinger, 7-6. Richard Fedelan (106) and Cole Kirol (285) landed in the second spot on the podium for McDonogh. Harrison Trahan (160) and Michael Ancel (170) were third, and Matt Lawrence placed fifth at 126. Smyrna’s four champions were, Gabe Giampietro (106), Amir Pierce (132), Jack Davis (182), and Andrew DeBenedictis-Bayne (285). Giampietro beat McDonogh’s highly touted freshman Fedelan in the finals, 6-5. Pierce came out ahead of Landon’s defending private school state champion Lorenzo Lopez, 4-2. Gilman’s ninth-place finish was the next highest of any Maryland team. Four Greyhounds brought home awards, Kevonte Beard (195) and Mattheus Carroll (220) were third, Kezmond Elliott (182) was fifth, and Cameron Ward (138) fell to the sixth spot. Georgetown Prep also managed four placers and finished tenth in the team standings. In addition to Hamilton’s silver, Kobe Borda (152) earned a bronze, Tristan Furnish (285) placed fifth, and Ryan Yousefi (182) was sixth. Landon was 11th with three guys reaching the podium, Lopez, Axel Giron (3rd at 126) and Matt Amitay (4th at 138). Archbishop Spalding sent a skeleton crew to Ray Oliver as most of the team headed to a dual meet tournament in Virginia. The small contingent of Cavaliers present here took him two bronze medals, Dean Laumann (132) and Drew Salazar (138). Glenelg Country School’s Tristan McKneely (fifth at 160lbs) was his school’s lone competitor to reach the podium. Brad LaBella duplicated the solo feat for Severn, placing fourth at 145lbs. St. John’s College from Washington D.C. was the third-place team, but only crowned one champion, Thomas Stewart (160). Stewart, a freshman, turned a few heads when he picked up a major-decision over McDonogh’s Trahan in the semifinals, 14-3. Stewart kept rolling in his finals match with Anthony Bernieri (Caravel Academy, DE), registering another major-decision, 13-5. The Caravel Academy was able to secure three championships, Ethan Gray (120), Alex Poore (126), and Nick Hall (152). Middletown in Delaware saw Brian Schneider snag the 170lb title with a 9-2 victory over St. John’s Seamus Selmi. Pictured above: McDonogh’s Ray Kable won his third straight Ray Oliver title, winning the 138lbs. weight class.